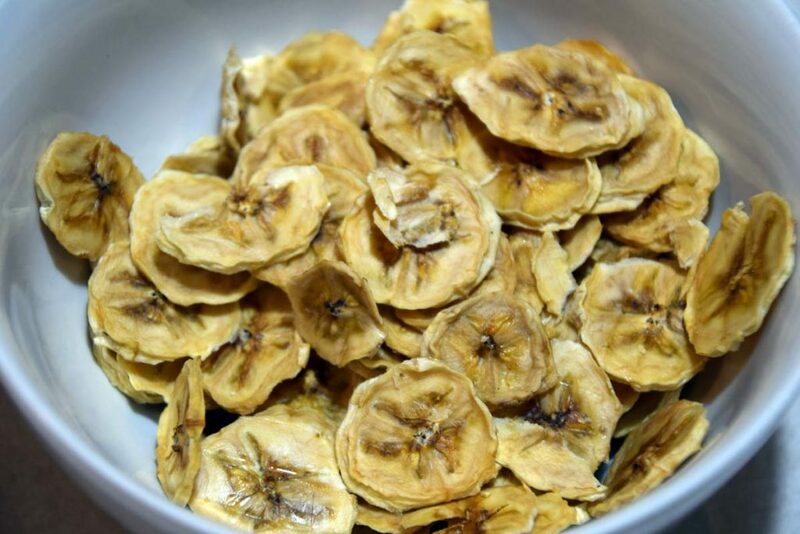 While not everyone likes bananas for those of us that do banana chips are a lightweight and easy to make snack the requires little effort and very few ingredients. 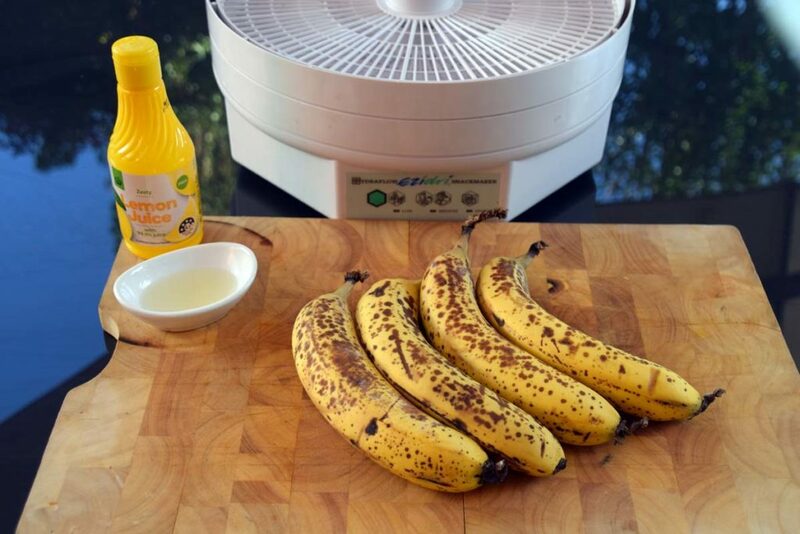 I always find that bananas tend to over-ripen very quickly in the summer months so this is a good use for them if you are getting sick of banana bread or smoothies. 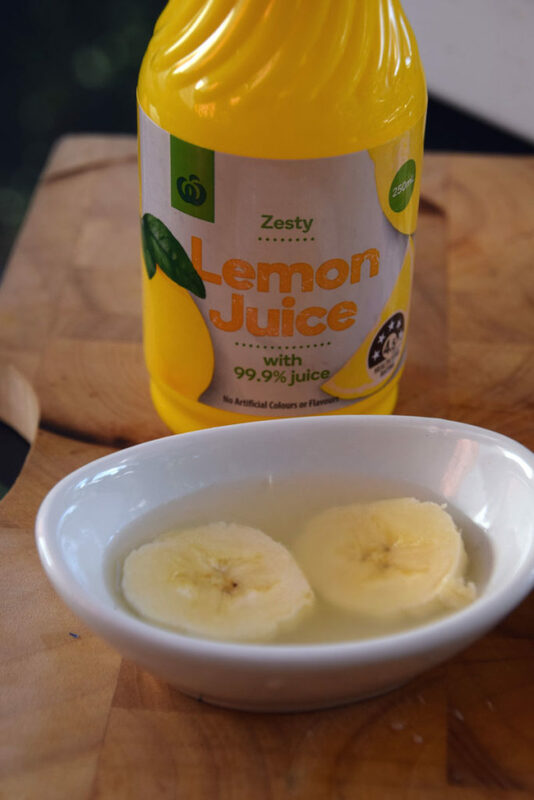 While this recipe is very simple I find that the addition of the lemon juice to stop the banana from browning gives them a slight sweet and sour taste that I find hard to resist. 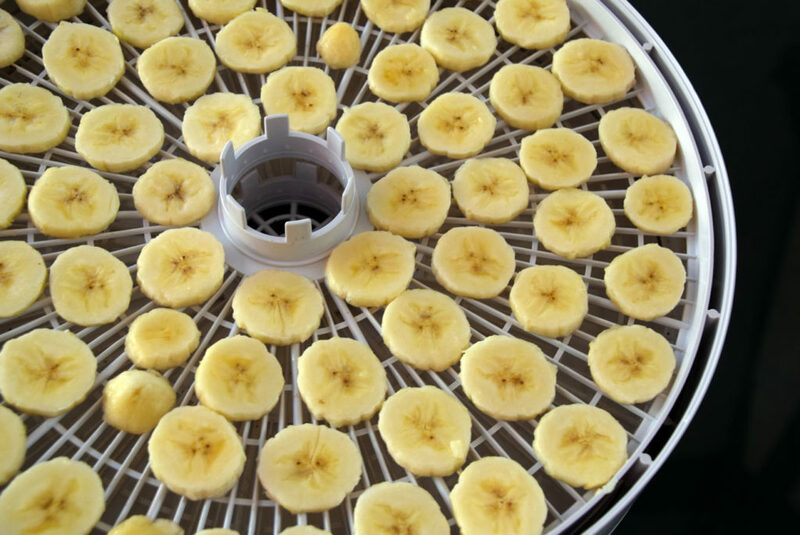 Assemble the food dehydrator. I recommend having an empty rack on the bottom to allow for a more even flow of air. 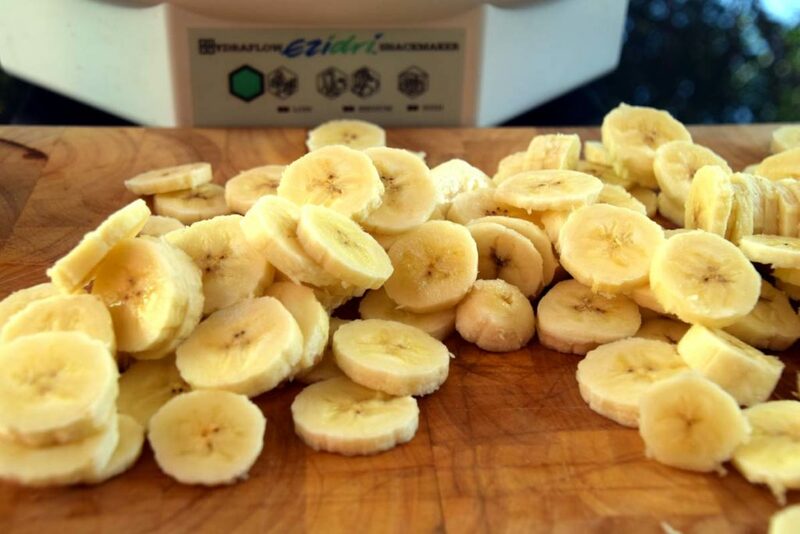 Once the banana slices have a leathery to crisp texture (your choice) allow to cool and store in a airtight container in the cupboard. Place the bananas directly on the mesh tray ensuring that there is space between each piece so that they are not touching the next one. 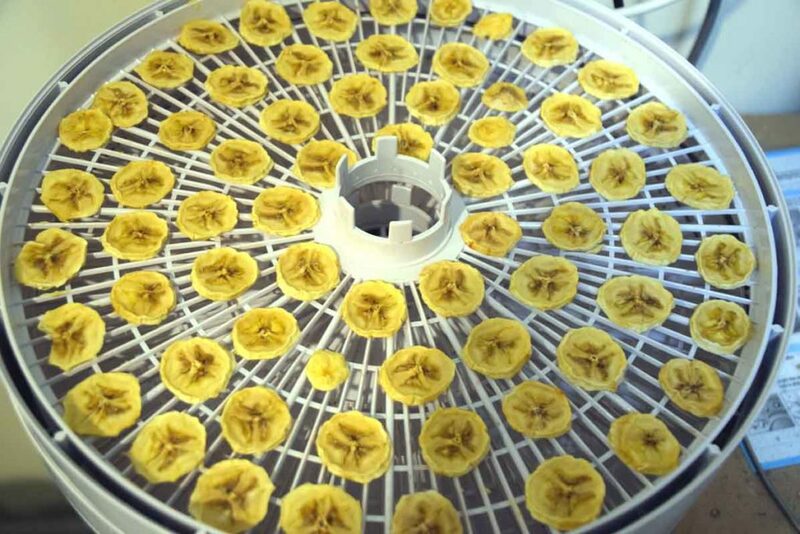 I use an Ezidri dehydrator which I’ve had for about five years and while the heat adjustment mechanism has changed with the newer models the size is still the same. Four bananas will pretty much fill two trays.